My fifty page A5 black and white print booklet is now published; it is based on detailed academic research and radically challenges the traditional history. 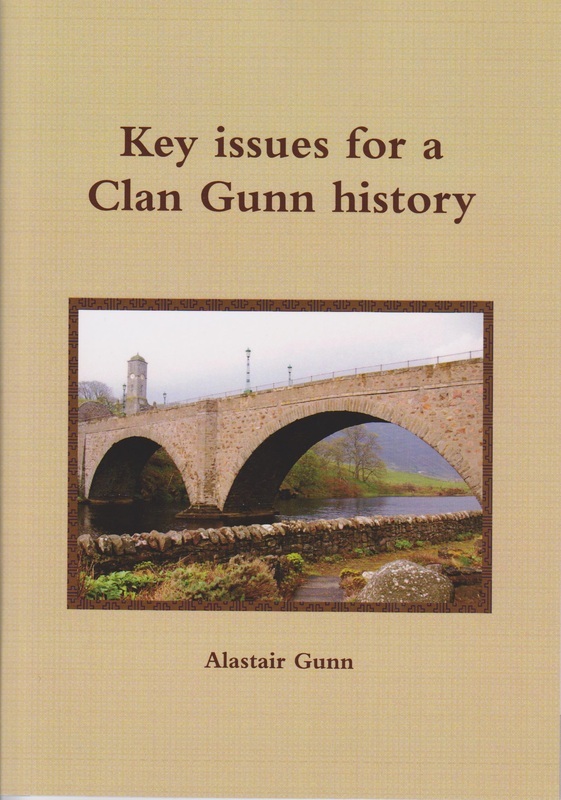 It is an extract from a work in progress - I am writing a full New history of the Clan Gunn. Of course more information is found as I work on the New history, for example the recent entry on the website concerning Snaekollr Gunnison's life in Norway (and no link to the Clan Gunn) and the AVM runestone are not incorporated into the above booklet. 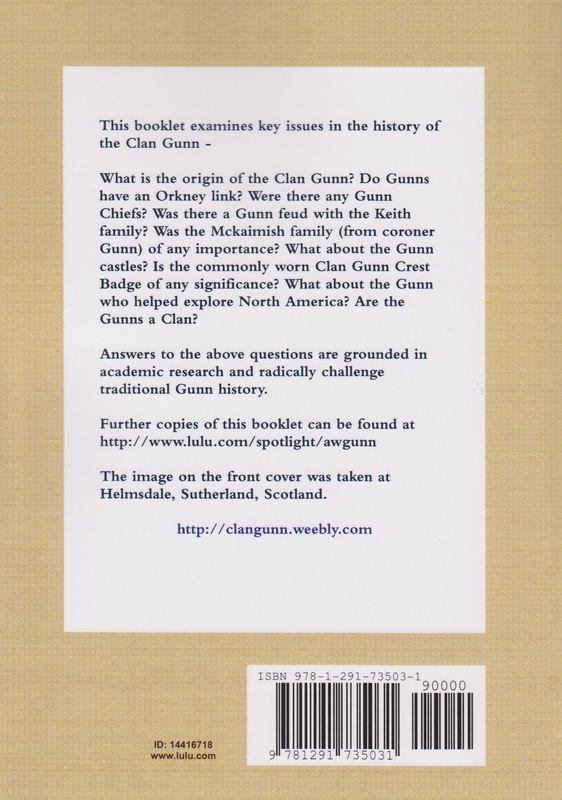 Do Gunns have an Orkney / Norse origin? Were there later Gunn Chiefs? What about the Mckaimish (and that's one of the two correct spellings as I explain in the booklet) line as Chief? Is the Clan Gunn Crest Badge and motto legal? What about the Gunn castles? Should Gunns be viewed as a Clan? Did a Gunn help 'discover' America? which takes you to the product page. Click 'Preview' under the front cover image if you want to see sample pages. Note the sample pages show colour - as said this is a black and white book. And then it's the normal internet shopping basket method of buying the item. You can pay with credit card or Paypal. It can be ordered through the traditional method by using the ISBN number - ISBN 9781291735031. It can also be ordered through Amazon and as a kindle book.